Same place as last week except this time I was standing a few feet to the side of the man instead of a few feet behind him. 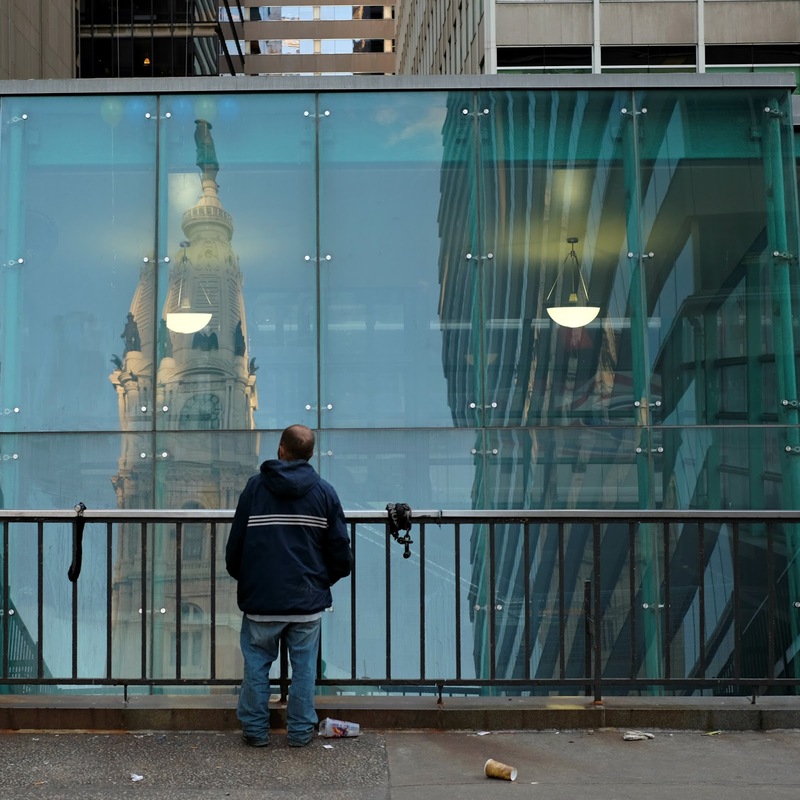 This guy was looking at a reflection of Philadelphia's City Hall tower and if he turns his head to the left he will see a reflection of another building. I just noticed that the two hanging light fixtures behind the glass seem to be lighting the two reflected buildings. After I took this shot I walked closer and took another. 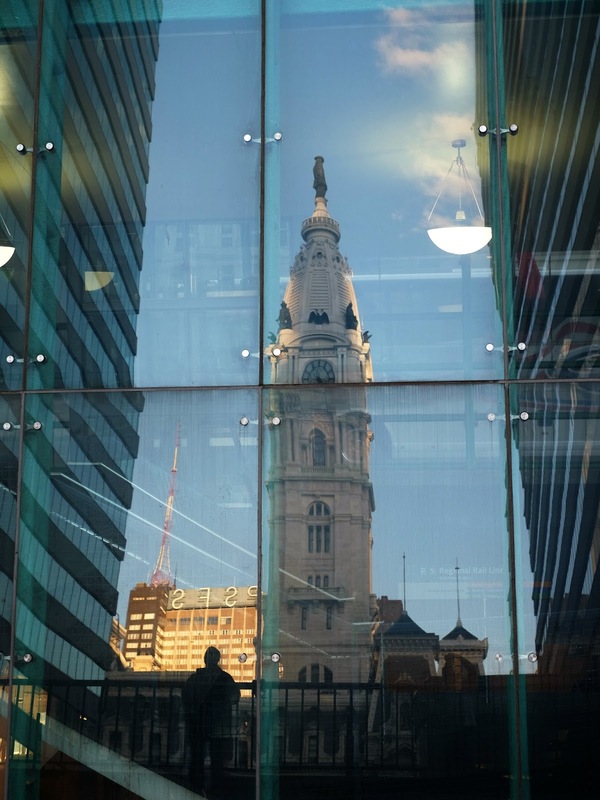 Next week I'll post a photo of the "watcher" or at least his silhouette reflected with the buildings. 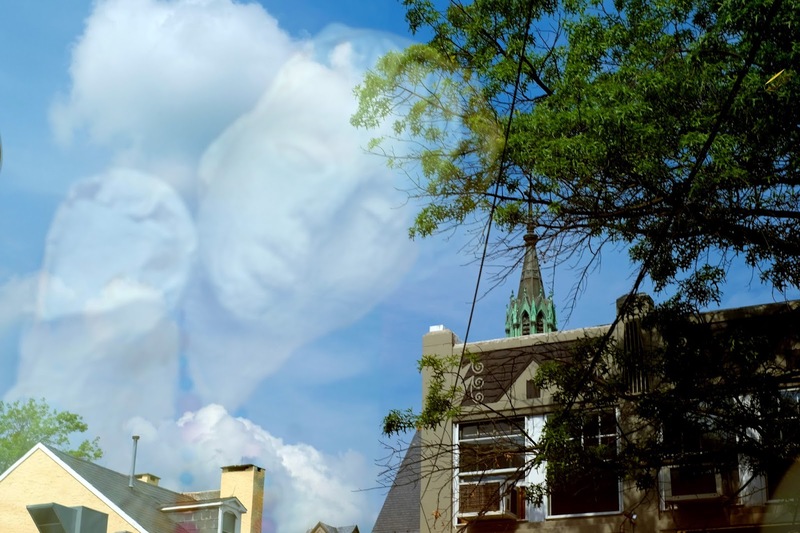 Is this guy's head in the clouds? This is a jewelry store window. Everything is a reflection except for the white bust displaying a colorful necklace. 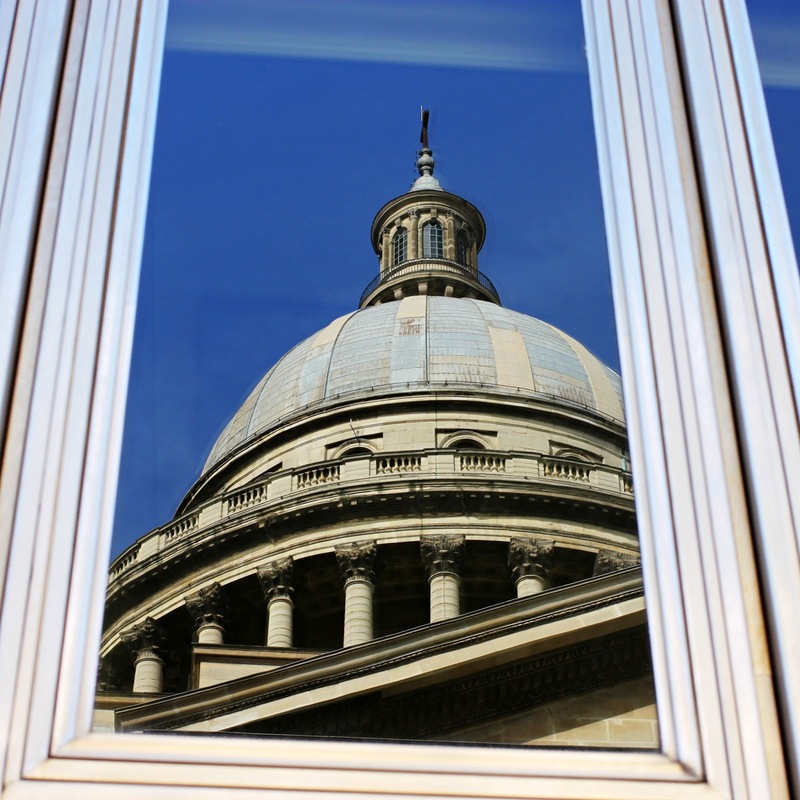 The is the dome of the Panthéon reflected in a window. I hope you like it.